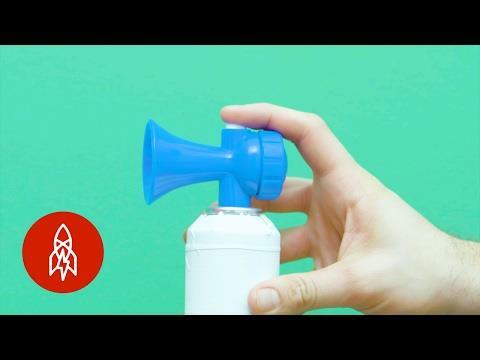 Born on a B-side of a Bob Marley and the Wailers record, the air horn sound has been associated with reggae and Jamaican dancehall music since the 1960s. What was once a staple of the club scene in Jamaica has now become a global hip-hop phenomenon, thanks primarily to Luis Diaz aka Cipha Sounds. The DJ was kind enough to share the story behind the massive, attention-grabbing sound. This Great Big Story was inspired by Genesis. SUBSCRIBE: https://goo.gl/vR6Acb Follow us behind the scenes on Instagram: http://goo.gl/2KABeX Make our acquaintance on Facebook: http://goo.gl/Vn0XIZ Give us a shout on Twitter: http://goo.gl/sY1GLY Come hang with us on Vimeo: http://goo.gl/T0OzjV Visit our world directly: http://www.greatbigstory.com Great Big Story is a video network dedicated to the untold, overlooked & flat-out amazing. Humans are capable of incredible things & we're here to tell their stories. When a rocket lands in your backyard, you get in.